Why Isn't Asbestos Banned in the United States? Did you raise your eyebrows when you heard asbestos is not banned in the United States? For many, the news comes as a complete shock. The countless industrial uses of asbestos were well-known for more than a century, and the material was incorporated into hundreds of household products. From shipyards to factories, everywhere you looked there was a practical use for asbestos. Then people started to get sick. It started with miners, followed by factory workers. Unknowingly, asbestos workers were bringing toxic fibers home with them on their clothes. Also unaware of the dangers of asbestos, many consumers fell ill from exposures to asbestos-containing products. And they kept getting sick. We now know for certain that all forms of asbestos can cause lung cancer, mesothelioma and other chronic respiratory conditions. Do you have questions about asbestos, its dangers or the EPA’s changes? Email Ben for more information or media inquiries. It wasn’t until the early 1970s, however, that government agencies like the Occupational Safety and Health Administration (OSHA) and the U.S. Environmental Protection Agency (EPA) were created to limit exposures to asbestos and other toxic pollutants. In 1973, under the EPA’s Clean Air Act, most spray-applied asbestos products were banned for fireproofing and insulating purposes. And in 1989, the EPA issued the Asbestos Ban and Phase Out Rule, which hoped to impose a full ban on the manufacturing, importation, processing and sale of asbestos-containing products. Unfortunately, in 1991, asbestos industry supporters challenged and overturned the ban in a landmark lawsuit: Corrosion Proof Fittings v. the Environmental Protection Agency. Although the case resulted in several small victories for asbestos regulation, the EPA ultimately failed to put an end to asbestos use. Why Did the Asbestos Ban Fail? Under the authority of the EPA’s Toxic Substances Control Act (TSCA), a complete ban on asbestos was possible. But the TSCA and Congress required the EPA to use the “least burdensome” means to achieve its goal. According to petitioners of the ban, asbestos regulation is a far less burdensome option than a partial or complete ban. And while many passionately believed that a complete ban would save countless lives, Congress firmly opposed the EPA’s plan to reduce workplace asbestos risk at any cost. In turn, the EPA had to produce a comparison of each potential solution’s cost and benefit to justify the ban. How do you accurately quantify something like the risks imposed on someone’s health? Though cost effective, is the addition of warning labels to asbestos products a sufficient protective measure? Are asbestos substitutes just as harmful? Do the benefits of using asbestos as a fire retardant outweigh the risks? How many lives can asbestos save by preventing fires or making safer brakes for automobiles? Although the EPA claimed an asbestos ban would lead to the development of cost-effective asbestos substitutes, the Agency failed to prove that it chose the least burdensome approach. Petitioners argued that many asbestos substitutes are equally dangerous, and the EPA may inadvertently increase occupational risk by failing to include substitutes in its cost analysis. According to the court, this decision lessened the value of the analysis, making “any meaningful judicial review impossible.” This hurt the EPA’s case, and Congress decided it was unreasonable to side with a full ban. Banning all new uses of asbestos effectively halted efforts to repurpose the material for more applications. Further, this encouraged the development of new substitute products that could one day replace our need for asbestos. In the end, numerous asbestos-containing products remained on the market to harm consumers. Among them are various construction materials, automotive products like gaskets and brake pads and asbestos clothing such as aprons, gloves and welder’s blankets. Currently, uses accounting for the greatest consumption of asbestos in the United States include roofing products (60 percent) and the production of chlorine and lye (35 percent). Write to your elected officials urging them to ban products that contain asbestos and increase funding for mesothelioma research. We have a short video that explains how you can do that on the Mesothelioma Center YouTube Channel. 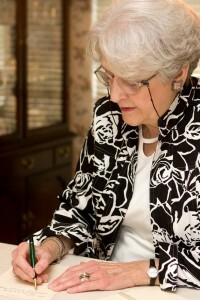 If you need help drafting your letter, feel free to contact us on Facebook. 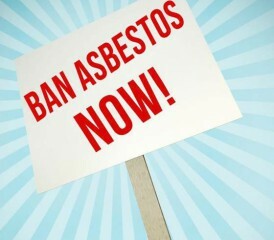 Right now, progress towards an asbestos ban is being made in the state of Washington. Under the Better Brakes Law, passed in 2010, all brake pads and shoes are required to be asbestos-free by January 1, 2015. A similar measure recently passed in California. Consider these successes as examples of how much the mesothelioma community can achieve. It all starts with one voice; let others know that you support an absolute ban on asbestos. 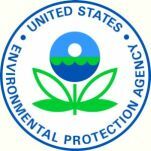 What do you think about the EPA banning asbestos? Tell us below or on Facebook.